Monday, Dec 10, 2018- You know Guwahati and Dibrugarh are two important cities of North East India. We at Panchmukhi have been receiving elevated demand for air ambulances in the winter season. In order to address the issue this year, Panchmukhi has prepared itself with state of the art ICU Setup, world-class aircrafts fitted with clear vision technology to see through the fog and off course a dedicated Medic team too. Now with the latest technology, an aircraft does not have to wait for the fog to clear and hence can fly and land in near zero visibility conditions. With the introduction of this latest technology in our air ambulance, we are confident to deliver hassle-free air ambulance services from Dibrugarh and Guwahati. It would not only make flawless execution of emergency medical services but also be greatly helpful in saving a patient life. Besides our technical upgrade, we have also focused on maintaining the manual process involved. We pick up a critical patient with Bed to Bed Patient Transfer that creates the least panic for the relatives. All the technical aspects and aviation formalities are addressed and resolved from our end and the customer has to take no worry of the evacuation at any stage. We also allow one or two family members of the patient to come along with the patient in our charter air ambulance in Guwahati. This is done to ensure family touch in the services. We are helping patients reach healthcare facility in few hours that is not possible by any other medium except air commute and thereby saving life and limb of a critical patient. With the capability to fly in a foggy season we are in a better position to offer fastest air ambulance service in Dibrugarh anytime and in any weather conditions. Before having this technology on our air ambulances it was a difficult and sometimes impossible to fly or land in adverse weather conditions. We have a huge panel of specialized Doctors such as Endocrinologists, Gastroenterologists, Hematologists, Hospice and Palliative Medicine Specialists, Anesthesiologists, Colon, and Rectal Surgeons, Nephrologists, Obstetricians and Gynecologists and Oncologists etc. A doctor together with a nurse or paramedic staff is deputed in our air ambulances from Guwahati to overall. These health professionals monitor and stabilize the health condition of a critical patient in the due course of transportation. 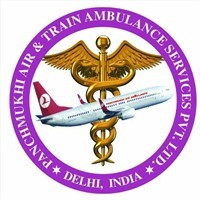 Panchmukhi Air & Train Ambulance private Ltd considers our human resource as a crucial asset and provides best in class commercial patient transfer services in the region. Panchmukhi Air Ambulance is highly optimistic about critical medical transportation services from Guwahati and is committed to saving more lives in the coming winter seasons.